The transformation of the digital enterprise promises many things, new ways to streamline business processes to unheard-of-levels of corporate agility. But it also promises – or threatens – change in all levels of organizational operations. How effectively companies can handle the coming changes will go a long way in determining the success or failure of their transformation efforts. Dealing with change has always been a pervasive problem for business. CEOs and other executives worry about how changes will affect capital investments. Business units monitor changing market conditions for signs of competitive strengths or weaknesses. Production managers track supply chains and inventory for signs of change that can create production upheavals. Operations managers worry about how new customer services will affect underlying hardware and software systems. But at no time in history has the challenge of dealing with change been so far-reaching as it is with the advent of digital transformation. 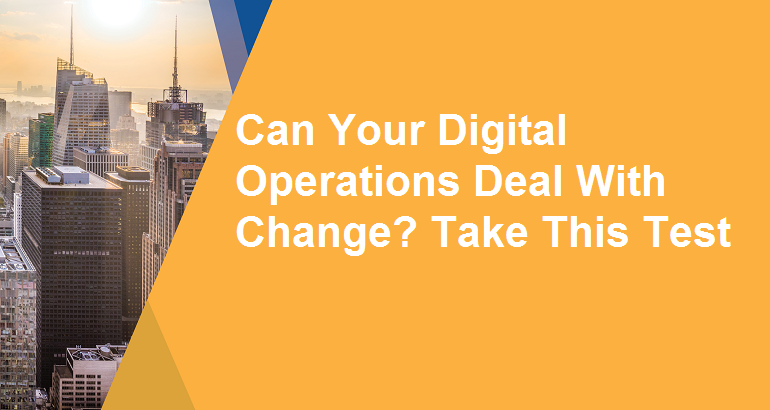 Digitalization is causing organizations to become more tightly integrated, where a positive change in one process can create havoc for other processes in other departments. Gartner has noted that 85 percent of incidents can be traced back to some sort of change activities. And thanks to growing organizational complexity, it’s harder than ever to predict how a change in one process may affect multiple others, and how those will themselves ripple out. Enterprise monitoring systems and other traditional IT-based solutions are hard-pressed to monitor the scope and pace of changes that are coming with digital transformation. Collect data in time series – This requires ultra-fast ingestion of data that comes from IoT sensors, log files and other sources. Analytics-engine performance is necessary to detect patterns that emerge from continual time-slices of millions of data points. Automate change detection – Time-slice data must be filtered to create new populations – of devices, for instance, or systems – that will be affected by the change. For an over-the-air (OTA) update to a device’s operating system, for instance, the analytics would identify the new population of affected devices. An ability to identify such interrelated populations is a central function for any business undergoing digital transformation because it can be applied to core operations – logistics, order processing, production machinery and so on – that may be affected by higher-level changes in business processes. 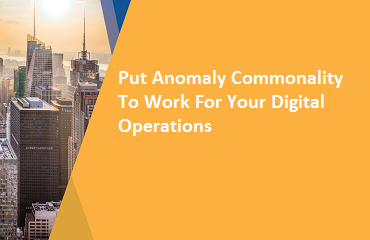 Correlate with operational anomalies – The next level of analysis correlates the change with the likely operational anomalies by comparing error rates or other behaviors before and after the change event. Evaluate impact on operations – Finally, the analytics determine what the real impact will be on the changed population, whether positive or negative. Operations teams of communications service providers are regularly faced with the need to mediate change in their device populations. That’s because the CSP’s operations team is responsible for customer experience linked to service delivery, and changes can come from external sources. An example is a telecom provider’s upgrade from 4GL to 5GL. Another is a phone provider’s release of a new device operating system. Such changes are beyond the control of the CSP, yet it’s the CSP’s customers who will be affected – and it’s the CSP that can end up having to issue costly credits, undertake complex diagnostic processes or handle equipment returns. With change-management analytics the CSP can detect clusters of subscribers with the new operating system, then auto-correlate and analyze behavioral KPIs such as dropped calls or other issues. Knowing this, the CSP can then recommend immediate remedial responses or offer solutions to head off further problems. Digital transformation promises to connect all aspects of the enterprise, and that’s why it’s essential to build a transformation strategy that starts with core operations functions: networking, logistics, planning, ERP systems, business applications and production machinery. Operational agility leads to increased efficiency, and this improves external processes and perceptions. It can lead to faster response to market demand, for example, and to greater customer loyalty through improved service and support. But operational analytics present their own challenges. Operations systems are far-reaching and multi-faceted, combining hardware and software at varying levels of enterprise processes. And for operations systems, failure or slowdowns can have serious repercussions across the ecosystem. An inclusive analytics framework – Basic “point” analytics solutions may work well for specific use cases, but operations analysis requires the consistency of an end-to-end analytics framework that can enhance commonalities of modeling techniques and application components. By contrast, clusters of individual point solutions threaten to create new complexities as their usage grows. Business digitalization is a complex endeavor in its own right; that complexity shouldn’t be compounded by new armies of analytics applications. 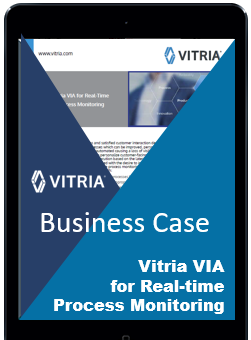 High-performance data ingestion and processing – Today’s best solutions are cloud-based, which gives them the ability to call on elastic resources necessary for large processing jobs without being penalized by high investments in on-premise computing systems. Dashboard visualization throughout – Operations visualization is an essential foundation for guiding development and deployment of the change management analytics listed earlier. Visualization is also a necessary component in facilitating communication among technical and non-technical development teams, necessary for creating the best analytic applications possible.